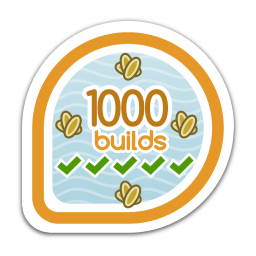 Succesfully completed 1000 koji builds. 0.2% of people have earned this badge. First earned by rdieter on 2013-08-28. Last awarded to dwalsh on 2019-04-12.